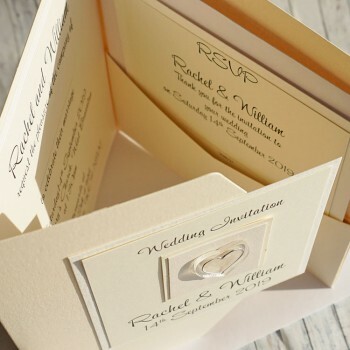 Pocket fold or wallet invites are ideal if you would like to include additional information, such as a reply card and/or information on directions to your wedding venue or your wedding gift list details. The Atholl design features a handpainted heart, shown here in ivory pearlescent paint. The heart is mounted on pearlescent cards, which can be matched to your own colour scheme. 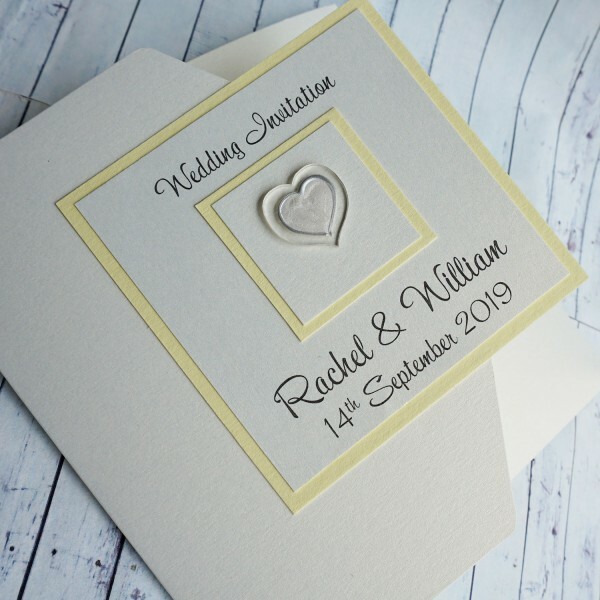 The design includes the names of the bride and groom on the front and the date of your wedding, making it personal to you. 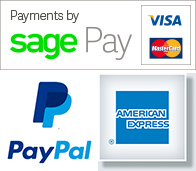 The design can be created on your own choice of pearlescent or textured white, ivory or cream card. Great value for money, our pocketfold invitations are supplied with matching reply cards, also personalised with your own details and a matching return envelope. 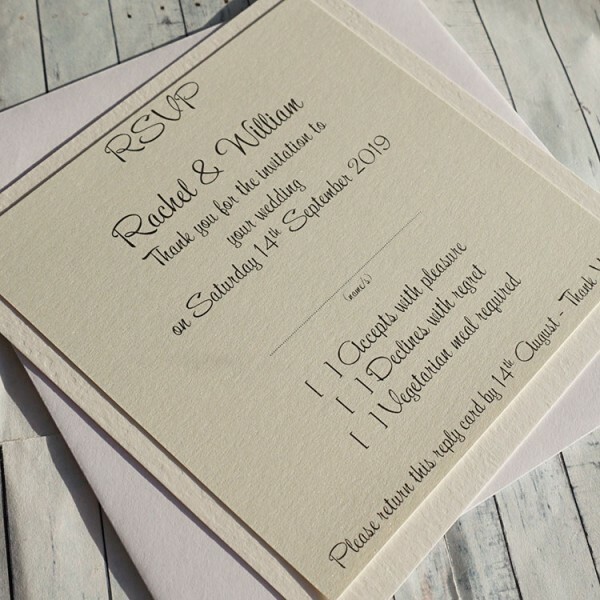 Your invitations are fully personalised with your own choice of wording and fonts, both on the cover and on the printed insert. We will discuss this with you before producing your proof. The design can be supplied in a range of sizes, textures and colours. If ordering a sample, we will be happy to send you a swatch of cards for your chosen colour scheme. 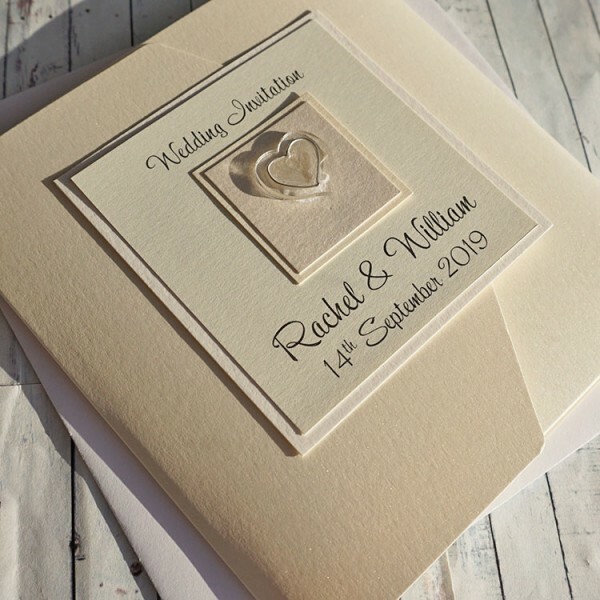 Personalised Reply Cards & Information Cards to match the Atholl design RSVP CARD Enc..
Atholl Wedding Invitations - Classic Fold (Option 1) The Atholl design is a simple classic we..
Atholl Flat Wedding Invites for Day or Evening The Atholl design is a simple classic wedding ..
Atholl Wedding Order of Service & Order of the Day Cards Matching the rest of the Atholl ..
Personalised Table Name or Number Cards "Atholl" Table name cards can be printed with your na..
Atholl Personalised Wedding Place Cards Place cards are an essential at your wedding breakfas.. Handmade Wedding Menu Cards "Atholl" A matching wedding menu card be crafted to match t..